New Barça Lassa head coach Georgios Bartzokas could not have wished for a better competitive home debut at the Palau. The hugely satisfying win against the ever-difficult Baskonia was a dramatic affair, with the Catalans eventually clinching it in overtime. Doellman and Rice with 24 and 20 points respectively, were the standout performers for the home side and at this early stage of the campaign, Barça are one of just five teams with a 100 per cent record in the Liga Endesa. They looked cool and composed for the entire first half, with Rice providing plenty of magic with a series of assists that had the Palau on its feet. Doellman’s 69% for two point attempts was another of the positives, as was the intensity in defence, and that was despite leaking 47 points in the first two periods. Baskonia were being outclassed but they never lost contention. Following the break, and spurred by some fine 3-point shooting, they started to create problems. 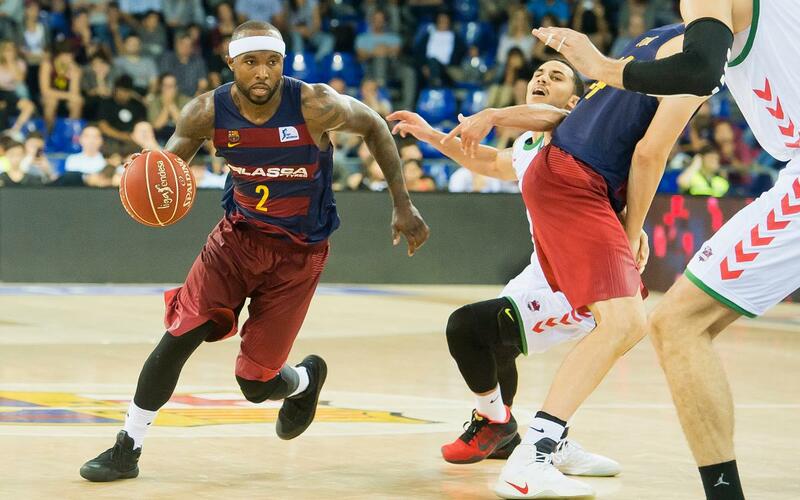 The intensity seemed to have gone out of Barça Lassa’s game and all of a sudden there were just three points in it. The Basques could smell hope and the final period promised to be a lively affair. After Barça had looked so in control of matters, they suddenly found themselves dipping behind. The lead continued to switch from side to side as the seconds ticked away, with Rice in dazzling form and Doellman also making a key contribution to the Barça end game, but Baskonia always finding some kind of reply. But Baskonia had run out of gas, while Rice still had plenty left in his own tank as he fuelled the charge to the finish with yet more spectacular play. Despite the tense climax to regular time, Barça ended up crusing it in added time by six points. The win was important enough in itself, but it was also a massive mental boost for the team, and for Bartzokas. Things for Barça Lassa are looking very promising indeed!